Swedteam Cap/Mask Bison Lined with Scent-Lok. Adjustable drawstring at back for that functional f..
•The poncho is manufactured in the same material as the leaf camo set WOOD. •Hood with drawstring f.. 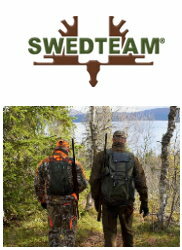 Completely become one with nature with total face cover with the SWEDTEAM Optfade Multimask. ..